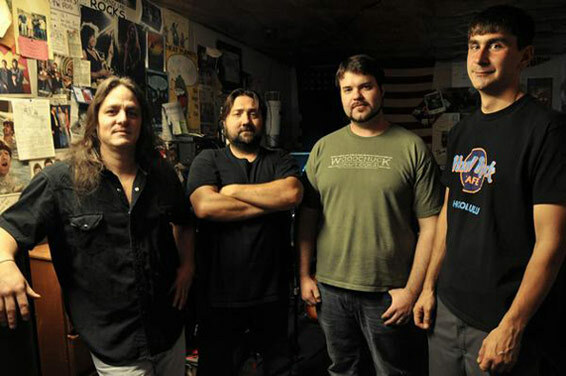 Formed circa 2003, after the dissolution of The Dry Spells, Greg Lowe & the Jargonauts started out under the monicker, “Greg Lowe & Mr. White” and consisted of Lowe on guitar and vocals, Jim Dronick (fmr Mullets) on bass and vocals, and Mike “Ralph” Walborn (PoleLine) on the drums. Randy “Les” Fehr replaced Walborn around 2005, and Bob Houston (Stone Ruins) was added on guitars and vocals. The band gigged in the Pottsville area, off and on, over the next few years. 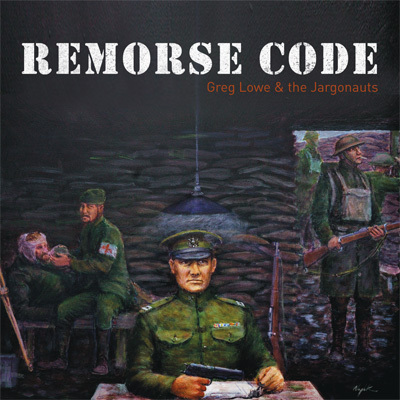 Jerry Smith (Mullets, Pony Bottles) joined after Houston’s departure, and played on and recorded/co-produced the Remorse Code CD. Former S.O.M.E. and Thick Brown Fur bassist Nick Steranko joined in late 2008, and S.O.M.E. guitarist Ryan Walsh replaced Smith in summer 2009, to complete the latest line-up of the ever-evolving Jargonaut roster. The “Mr. White” monicker was jettisoned in 2007, and after much deliberation, the Jargonauts’ title was adopted in response to a certain friend/former member of Mr. White (we’ll call him DRONIX) telling Lowe he wrote too many lyrics/verses in his songs. So, there you have it. In the nautical tradition of the Argonauts (GREEK MYTHOLOGY) and space exploration (astro-NAUT), we have the JARGONAUTS, who travel in the sea/space of Jargon (language,dialect or form of speech regarded as meaningless and confusing).